William Logan's darkly incisive, sometimes caustic, and always lively reviews of contemporary poetry have won him legions of admirers and his fair share of detractors. 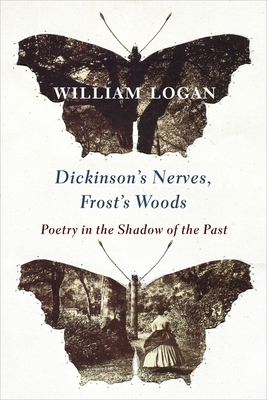 In Dickinson's Nerves, Frost's Woods, Logan returns to some of the greatest poems in English literature to reveal what we may not have seen before and what his critical eye can do with what he loves. In essays that pair different poems--"Ozymandias," "On First Looking into Chapman's Homer," "In a Station of the Metro," "The Red Wheelbarrow," "After great pain, a formal feeling comes," and "Stopping by Woods on a Snowy Evening," among others--Logan reconciles history and poetry to provide new ways of reading poets ranging from Shakespeare and Shelley to Lowell and Heaney. In these striking essays, Logan presents the poetry of the past through the lens of the past, attempting to bring poems back to the world in which they were made. Logan's criticism is informed by the material culture of that world, whether postal deliveries in Regency London, the M tro lighting in 1911 Paris, or the wheelbarrows used in 1923. Deeper knowledge of the poet's daily existence lets us read old poems afresh, providing a new way of understanding poems now encrusted with commentary. Logan shows that criticism cannot just root blindly among the words of the poem but must live partly in a lost world, in the shadow of the poet's life and the shadow of the age. William Logan is Alumni/ae Professor and Distinguished Teaching Scholar at the University of Florida. He is the author of The Undiscovered Country: Poetry in the Age of Tin (2005); Our Savage Art: Poetry and the Civil Tongue (2009); and Guilty Knowledge, Guilty Pleasure: The Dirty Art of Poetry (2012), all from Columbia University Press, as well as eleven books of poems and other works of criticism.